I’m not a black and white thinker with most things. Nor have I ever colored within the lines. But I’ve always tried to read between them. Upon meeting someone new, my intuition is like an excited child. It can’t wait to tell my heart what it’s discovered. Together they talk it over with the brains of the operation, eventually coming to a consensus. And ninety – nine percent of the time my intuition is right. My dad always said that actions speak louder than words. I agree whole-heartedly. However, one finite I’ve learned for sure: we never know what someone is enduring in their own life story. We see only snippets of their public persona. Edited and punctuated for the world. So I wait and observe. I look for the missing one percent. And I read between the lines. The void in between the obvious of the black and white are blank for a reason. Free of preconceived judgement or thought. The person we initially meet, is the name of their book. A title eluding to what might be found within. As we get to know them, we learn the various chapter titles as we hear the cliff notes of a life. Some surprising, others clear. As time passes and trust grows, we fill in the spaces in between the bold black and white of a life. So we listen. We pause and reflect. We laugh and cry together. And we begin to understand how to read between the lines. Without reflection on what we’ve learned, how then do we apply it to a life? It lies in pausing at the end of an inspirational sentence. Or in between conflicting chapters. In appreciating an act of human kindness. Understanding why someone is sad. It’s found in looking back at the scribbly notes and dog eared pages. Helping each other to make sense of our “scribbly notes” of a life. I’ve read hundreds of books in my life. Quick reads with obvious story lines. Complicated, confusing books requiring a re-read for clarity, followed by an aha moment, as I discover what I’d missed in the first read. I’ve sat in awe as I read stories so profound I couldn’t believe they were true. Causing me to be still and to think. To be grateful for knowing such a story. So we listen. We pause and reflect. And we read between the lines. I’ve always seen my life story as a continuum of chapters rather than separate books. One unfolding unto another. Some life chapters so rich with wisdom, I can’t wait to visit them time after time, discovering a new insight with each and every dog eared page. Other life chapters are a hard read. Painful or confusing. They call out to me to revisit them until all my scribbly notes are clear. Sending me on my way, sometimes in a new direction. What is the void in between the black and white of a life? It’s your blank canvas, your own rendering. Draw it as you wish. Paint over the last chapter or scribble away. However you do it…fill in the void. Claim it as yours. And move on. So we listen. We pause and reflect. We read between the lines. And we move on. Einstein tells us that imagination is more important than knowledge – the black and white of a life. Reading and retaining knowledge is merely one piece of the human puzzle. Inserting knowledge into a life is in the art of objectively balancing variables with the black and white of a life. My imagination and intuition are as essential to me as fresh air and water. I’ve become more courageous by imagining the potential in what lies ahead. In what I’ve yet to become. Breathing in the possibilities with long expansive breaths. Throwing my dreams into the universal winds, chasing them harder and faster than ever before. I’ve learned to be still and listen to my intuition as it whispers softly in my ear. So we listen. We pause and reflect. 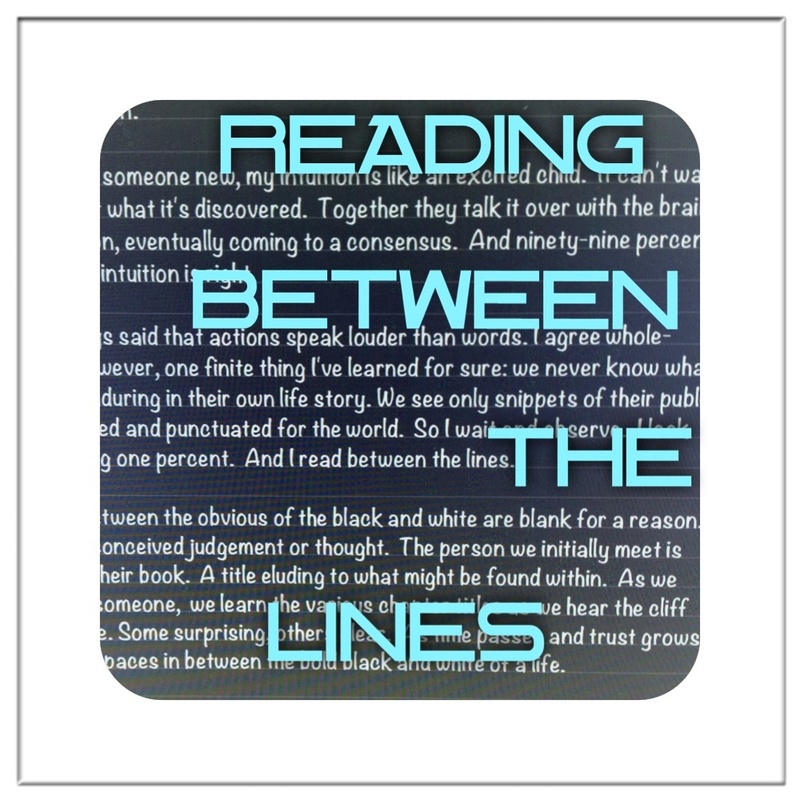 We read between the lines. We move on. And we imagine. I imagine a world in which we pause before judging a book by its cover. I imagine everyone reading the book for themselves and drawing their own conclusion. I imagine sharing a good book with friends. The wisdom, the love, the joy and the pain. “If you want to be heard, you must first listen.” And so I imagine listening to the inner and outer voices of a life. I imagine helping someone turn the pages when they’re not able. Hand over hand. One line at a time. I imagine filling in the void in between the black and white of a life. I imagine the scribbly notes I’ve yet to make. I imagine not caring if they’re messy or clear. I only imagine that it matters they are there. I imagine many endings initiating transcendent new beginnings. This entry was posted in Life, Wisdom and tagged black and white, courage, Einstein, imagination, Intuition, joy, life story, pain, reflection, Starting over, T.S. Eliot, wisdom. Bookmark the permalink. Dedicated to everyone who is starting a new beginning…or ending.